Much like in Muskogee, Oklahoma, one would not expect to find a submarine museum ship in Little Rock, Arkansas. Beginning in 1963, though, the US Army Corps of Engineers embarked on a project that opened the Arkansas River in 1971 to commercial traffic from Tulsa, Oklahoma to its confluence with the Mississippi. Thus arose the opportunity for museum ships such as the USS Batfish in Muskogee and the USS Razorback in Little Rock to be created. 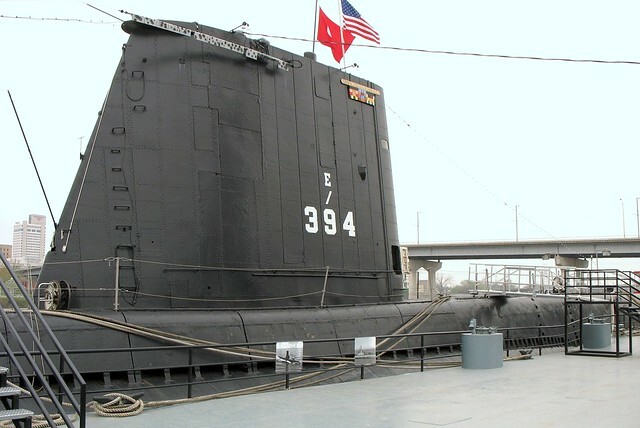 The Razorback has the unique distinction of being one of the longest serving submarines in the world. The boat served from 1944 to 1970 with the US Navy and from 1971 to 2001 with the Turkish Navy. Commissioned in April 1944, the Razorback was not named after the University of Arkansas’ mascot, but rather a species of whale. During her 5 war patrols, the sub sank over half a dozen Japanese merchant and warships, rescued multiple Allied airmen, participated in the surrender ceremony in Tokyo Bay and earned 5 battle stars. Following the war, the Razorback continued her service and received upgrades from 1952 to 1954 based on knowledge derived from captured Nazi U-boats. The boat patrolled the waters of the South China Sea during the Vietnam War and earned an additional 4 battle stars before being decommissioned in 1970. Following decommissioning, the Razorback was transferred to the Turkish Navy where she was renamed TCG Muratreis. In 2001, the boat was sold to the city of North Little Rock and opened as a museum ship at the Arkansas Inland Maritime Museum. If visiting, also be sure to take a stroll across the Big Dam Bridge, the longest pedestrian bridge in the US never having been open to vehicle traffic. Today the USS Razorback stands as a silent sentinel guarding Little Rock and the Arkansas River. 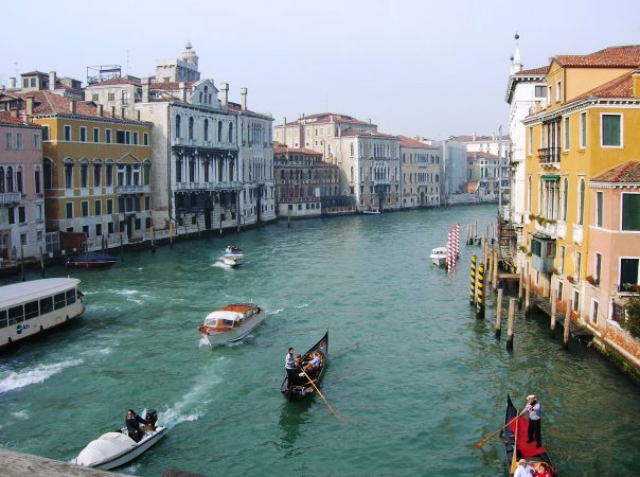 Today, Venice is best known for its graceful gondolas and idyllic streets of water, however, for several centuries it was a powerful city-state which exerted economic and political control over a large swath of northern Italy and the Adriatic Sea. Perhaps the Republic of Venice’s greatest accomplishment was on October 7, 1571 when naval forces led by Venice’s Doge Sebastiano Venier defeated Ottoman forces at the Battle of Lepanto. For nearly a hundred years the Ottomans had waged an off and on war against various Italian city-states and the Kingdom of Spain. Prompted by the capture of a Venetian colony on the island of Cyprus, the Venetians and their Christian allies assembled a force of 212 galleys and galleasses to launch a punitive expedition against the Ottomans and free the imprisoned colonists. The Christian and Ottoman fleets encountered one another in the Gulf of Patras on October 7th and immediately engaged in combat. Although outnumbering the Christian fleet by nearly 40 ships, the Ottoman forces were decimated by the superior guns and seamanship of the Christian fleet. The Christians captured approximately 130 ships and destroyed another 80 while losing only 50 of their own with 1 captured by the Ottomans. Additionally, the Ottomans suffered 20,000 casualties to the 7,500 lost by the Christian fleet and more than 10,000 imprisoned Christian rowers were freed from slavery. The battle was one of the most significant naval victories in history and marked the high-water mark of the Ottoman Navy. No longer would Venice or any of her sister Italian city-states be existentially threatened by the Ottoman Empire. Venice reasserted her economic dominance of the region, however, changes in technology and trading routes eventually led to the city’s graceful dive into impotence. The city lost her independence in 1797 when Napoleon Bonaparte captured the city and she became a pawn in European geopolitics for the next 80 years until her incorporation into the Kingdom of Italy in 1866. Today though, there are growing calls for Venetian independence amidst the Eurozone crisis and continuing Italian austerity. The Battle of Lepanto has been honored by the naming of two ships in the Italian Navy after the battle. The Genoese commander of one wing of the Christian fleet, Admiral Andrea Doria, became one of Italy’s most famous naval heroes and is perhaps most associated with the wreck of his namesake, the Italian liner Andrea Doria, which sank after colliding with the Swedish ship Stockholm in 1956.